The USS Robalo (SS-273) was United States submarine (Gato-Class) that served during World War II. The boat’s keel was laid on October 24th, 1942 at the Manitowoc Shipbuilding Co. located in Wisconsin and was subsequently launched on May 9th, 1943. The submarine’s sponsor was Mrs. E.S. 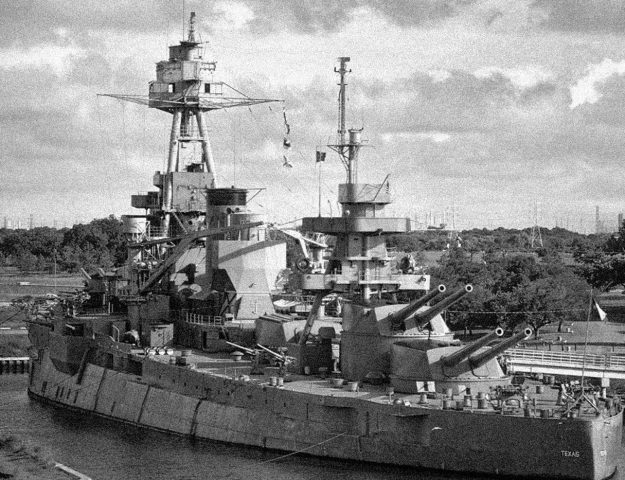 Root, and she was commissioned on September 28th, 1943. The ROBALO earned two battle stars during WW2 prior to being sunk by a Japanese mine on or about July 26th, 1944 west of the Palawan Province of the Philippines. The USS Robalo (SS-273) after launch. 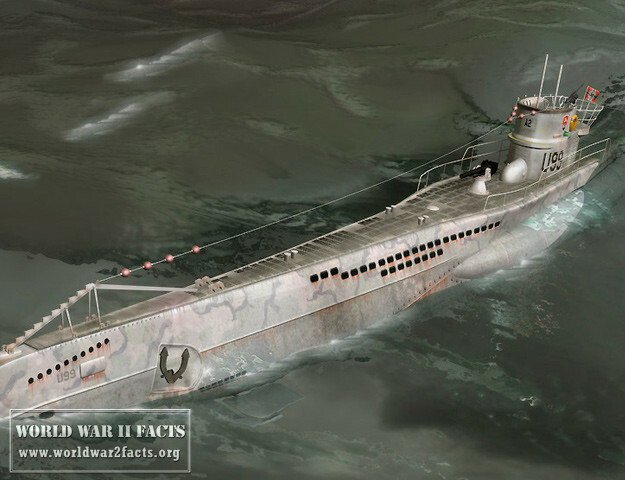 Fate of the ROBALO: Submarine was mined west of Palawan on the 26th of July, 1944 Information indicates that 4 of the 81 crew survived the mining but died as Japanese POW’s. Missouri Rivers by carrying the submarines in a floating dry dock." 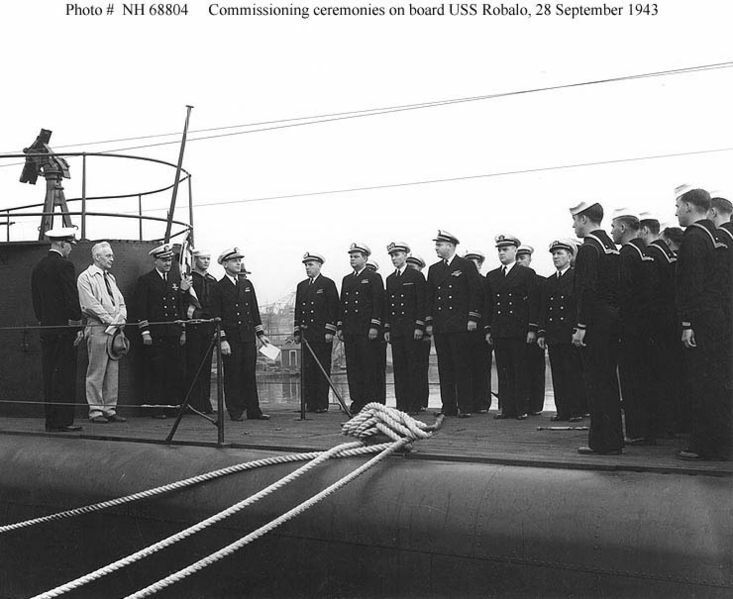 width="300" height="245" /> After six months of sea trials in Lake Michigan, commissioning ceremonies take place on board USS Robalo on September 28, 1943. There was no St. Lawrence seaway until the 1960's so the fresh water submarines had to be transported down the Mississippi River. 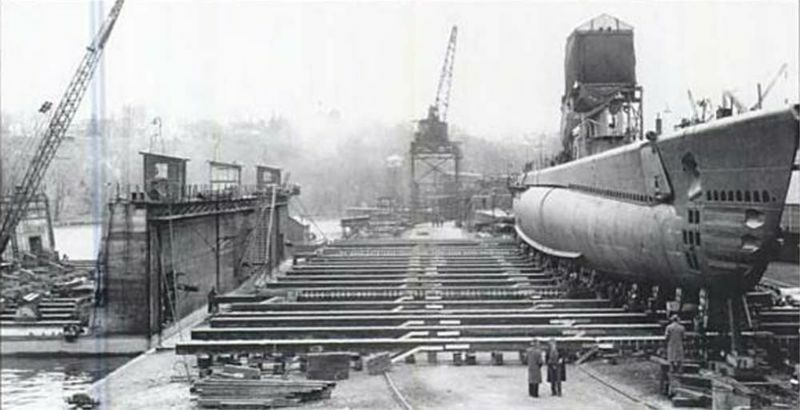 Gato class submarines had a minimum draft of 12 feet but could be transported through Chicago and the 9-foot-deep Chain of Rocks Channel near the confluence of the Mississippi and Missouri Rivers by carrying the submarines in a floating dry dock. 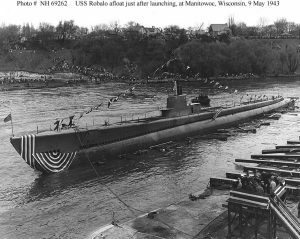 Once the USS Robalo traveled via United States inland waterways and was floated down the Mississippi River, she was deployed to the Pacific. She was under the command of Commander Stephen Ambruster and deployed from Pearl Harbor, Hawaii on her first wartime patrol. The Robalo was tasked with the pursuit and sinking of Japanese shipping located to the west of the Philippines. 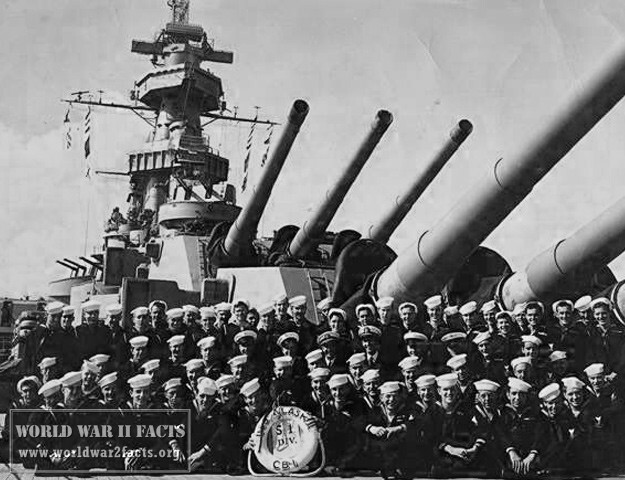 During this patrol, the sub was able to damage a large freighter by firing four torpedoes from a range of just over 1.5 nautical miles (3,100 yards). During the 57 day patrol, the Robalo spent 36 of the days under the water (submerged). Once arriving in Fremantle, the submarine’s commanding officer was relieved by U.S. Admiral Christie. The USS Robalo (SS-273) left Fremantle, Australia on June 22nd 1944 for her third and final wartime patrol of WW2. The submarine was proceeding to the South China Sea to conduct her patrol in the vicinity of the Natuna Islands. The ROBALO’s transit was planned to proceed through the heavily mined Balabac Strait and to remain on station from July 6th through August 2nd, 1944. The final message received from the submarine was on July 2nd, when she made a contact report of sighting a Fusō-class battleship that had both destroyers and air cover. The submarine was subsequently considered lost at sea and later struck from the Naval Register. The sinking of the ROBALO is filled with a bit of intrigue to this day, as information came out that there were at least four survivors of the sinking. 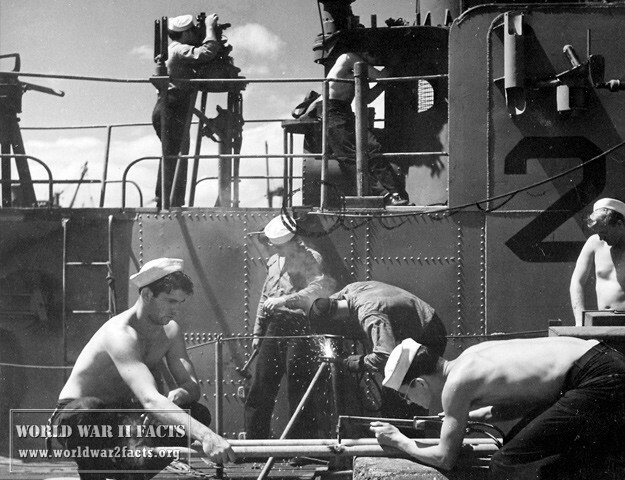 In this 1943 photo, the Robalo is ready to be moved to the river's edge in preparation for launching. On August 2nd, 1944, a note was dropped from a window of a cell in a Japanese POW camp located in at Puerto Princesa on Palawan Island in the Philippines. The note was subsequently picked up by another American and was ultimately given to the wife of guerrilla leader, Dr. Mendosa. The note provided information on the date and location of the sinking of the ROBALO. The four survivors made it to the mainland of the Philippines, but where captured by Japanese Military Police before they could make contact with the Philippine resistance movement. Yūnagi, sunk on 25 August 1944 off northwest Luzon by USS Picuda (SS-382). Akakaze, sunk on 23 August 1944 off Cape Bilinao (Luzon), by USS Haddo (SS-255). America’s Freshwater Submarine, researchandideas.com, Last Viewed: December 17th, 2013. Department of the Navy Biography of LCDR Manning M. Kimmel, history.navy.mil, Last Viewed: December 18th, 2013. Listing of Survivors of the USS Robalo and other information, PacificWrecks.com, Last Viewed: December 18th, 2013. On Eternal Patrol’s Listing of the Men Lost on the USS Robalo, oneternalpatrol.com, Last Viewed: December 18th, 2013.